Cooley Continues Its Tradition as an Award Winning Distillery, Earning Top Honors in Two Highly-Regarded International Spirits Competitions. 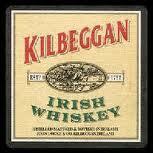 Beam Inc. BEAM -0.98% is thrilled to announce that Kilbeggan(R) Irish Whiskey has been named the world’s Best Irish Blended Whiskey at the 2012 World Whiskies Awards (WWA). Part of the award-winning portfolio of brands produced by Cooley Distillery, which was recently acquired by Beam, this is the third time in the last four years Kilbeggan has earned this top honor, and rounds out a list of 17 awards that Cooley has achieved this month from two of the world’s most prestigious industry competitions — WWA and the San Francisco World Spirits Competition. In addition to being named Best Irish Blended Whiskey, Kilbeggan 18 Year Old was also selected as the Best Irish Blended Whiskey 13 to 20 Years at WWA by a panel of international judges made up of media, master blenders, distillers and industry representatives. Kilbeggan also earned a Gold Medal at the 2012 San Francisco World Spirits Competition and in recent years has won the 2009 Trophy for Worldwide Whiskey of Year as well as numerous Gold Medals from the International Wine and Spirits Competition (IWSC), making it one of the most celebrated whiskies in the world. It is meticulously handcrafted using the finest hand-selected grain and barley, which is distilled and aged at the 255-year-old Kilbeggan Distillery in Co. Westmeath, Ireland, the world’s oldest operating Irish distillery. In addition to Kilbeggan, Cooley’s award-winning portfolio also includes Tyrconnell Single Malt, Connemara Peated Single Malt and Greenore Single Grain Irish Whiskey, many of which have also achieved significant recognition this year. For the third consecutive year, Greenore has been named the World’s Best Grain Whiskey at WWA — this year being recognized for the brand’s 18 Year Old expression. Additionally, Connemara took home top honors as a Double Gold medalist at the 2012 San Francisco World Spirits Competition. Cooley has a long history of creating award-winning whiskey recognized by the world’s top spirits consumers, writers, experts and enthusiasts, as evident by the additional top honors given to the brand during this year’s World Whiskies Awards and San Francisco World Spirits Competition. The World Whiskies Awards is the annual selection of the very best whiskies internationally. In its sixth year of competition, the event featured more than 300 whiskies, which battled during a three-round intensive blind taste test held on March 22. Categories are based upon the commonly held whiskey groupings, which define both the style and the process of whiskey and whiskey production: single malt, blended, blended malt, grain, American and whiskey liqueurs. The 2012 San Francisco World Spirits Competition was held on March 22-25 at the Hotel Nikko in San Francisco. In its 12th year of the competition, the event featured a record number of entries, including more than 1200 different products. Judging during the event is based on blind taste tests and medals are awarded based on taste alone. Since it was founded, Cooley has worked long and hard to create whiskies of the absolute highest quality. Today, this hard work has paid off, as Cooley enjoys an international reputation as a world-class distillery with more than 300 medals as well as having been given the prestigious title of European Spirits Producer of the Year for an unprecedented four consecutive years by the IWSC (2008-2011). About Cooley Distillery Cooley Distillery is the award winning Irish whiskey distillery. Established in 1987, Cooley takes its name from the location of its distillery, situated at the foothills of the Cooley Mountains, in Co. Louth. Cooley has an award winning portfolio of Irish whiskies including Kilbeggan Irish whiskey, Tyrconnell Single Malt, Connemara Peated Single Malt and Greenore Single Grain Irish whiskey. To learn more about Cooley Distillery visit www.cooleywhiskey.com . About Beam Inc. As one of the world’s leading premium spirits companies, Beam is Crafting the Spirits that Stir the World. Consumers from all corners of the globe call for the company’s brands, including Jim Beam Bourbon, Maker’s Mark Bourbon, Sauza Tequila, Canadian Club Whisky, Courvoisier Cognac, Teacher’s Scotch Whisky, Kilbeggan Irish Whiskey, Laphroaig Scotch Whisky, Cruzan Rum, Hornitos Tequila, Knob Creek Bourbon, EFFEN Vodka, Pucker Flavored Vodka, Larios Gin, Whisky DYC, DeKuyper Cordials, and Skinnygirl Cocktails. Beam is focused on delivering superior performance with its unique combination of scale with agility and a strategy of Creating Famous Brands, Building Winning Markets and Fueling Our Growth. Beam and its 3,200 passionate associates worldwide generated 2011 sales of $2.8 billion, volume of 34 million 9-liter cases and some of the industry’s fastest growing innovations. Headquartered in Deerfield, Illinois, Beam is traded on the New York Stock Exchange under the ticker symbol BEAM and is included in the S&P 500 Index and the MSCI World Index. For more information on Beam, its brands, and its commitment to social responsibility, please visit www.beamglobal.com and www.drinksmart.com .